Amazon chief Jeff Bezos on Monday defended the company's bid for a major Pentagon cloud computing contract, saying it was important to support US defense efforts even if unpopular. "This is a great country and it does need to be defended," Bezos said onstage during a question-and-answer session at the Wired 25th Anniversary conference in San Francisco. Bezos was asked about his position on defense contracts after Google dropped its bid for the Pentagon cloud computing contract worth up to $10 billion because it would be inconsistent with its principles. "We are going to continue to support the DoD," he said, referring to the Defense Department. "If big tech companies are going to turn their back on the US Department of Defense this country is going to be in trouble." Bezos added that many in the tech industry feel "conflicted" by the current state of politics but maintained that the United States "is still the best place in the world" where he said "everybody is trying to come." 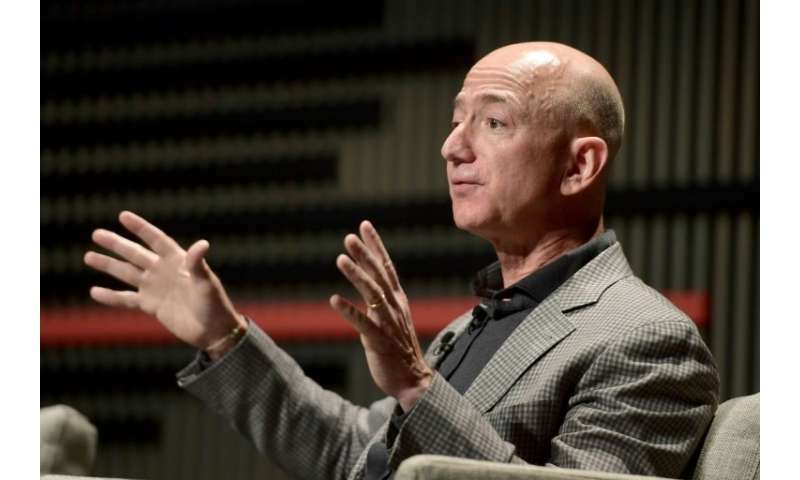 In an apparent retort at President Donald Trump's immigration policies, Bezos added, "I'd let them all in if it were up to me." Bezos also leads the private space exploration firm Blue Origin, which has obtained US military contracts. Google announced last week it was dropping its bid for the Joint Enterprise Defense Infrastructure (JEDI) contract aimed at modernizing the military's computing systems. "First, we couldn't be assured that it would align with our AI Principles and second, we determined that there were portions of the contract that were out of scope with our current government certifications," Google said in a statement. Google's move leaves a handful of tech giants in the running for the huge defense contract, including Amazon and Microsoft. Separately, a group of Microsoft employees urged their employer to drop out of the bid. "Many Microsoft employees don't believe that what we build should be used for waging war," read a blog post on Medium. "The contract is massive in scope and shrouded in secrecy, which makes it nearly impossible to know what we as workers would be building."